We are in July and it is the season for raspberries. 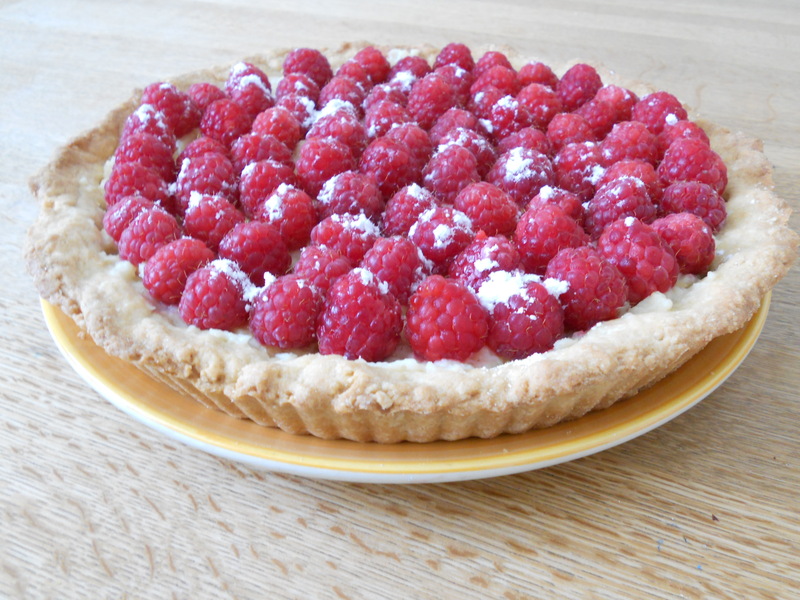 I know that we are waiting for summer to come up but we can always find consolation savouring a raspberry pie. The best thing to do is to prepare the pastry the previous day. Sift the flour on the worktop. Cut the butter in small pieces and rub in with your fingers until the mix looks like breadcrumbs. Add the egg and all the sugar. Mix with your fingers but not too much. Roll the pastry once it is homogeneous and wrap it in a clingfilm. Put the pastry in the fridge at least one hour. How to do the confectioner’s custard? We have now the pastry and the cream. Fill the pastry with the cream. Add the raspberries on the top. You can add some icing sugar to beautify your pie! This entry was posted in Pie, Recipes and tagged confectionner's custard, pastry, raspberry, raspberry pie by thebloodyfrog. Bookmark the permalink.